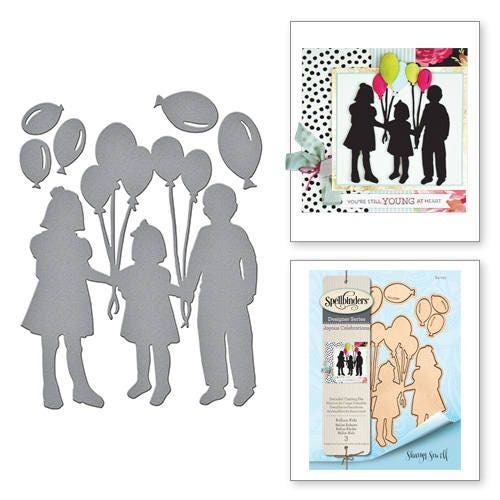 These Shapeabilities Balloon Kids Etched Dies from the Joyous Celebrations Collection by Sharyn Sowell bring joy and celebration all wrapped up into one to create her Joyous Celebrations Collection. 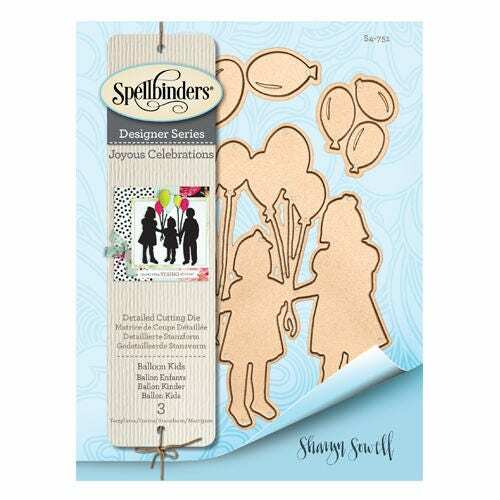 This three die set is a sweet silhouette of three children holding balloons. Also includes large and small balloons to layer for dimension or use as accents on projects.